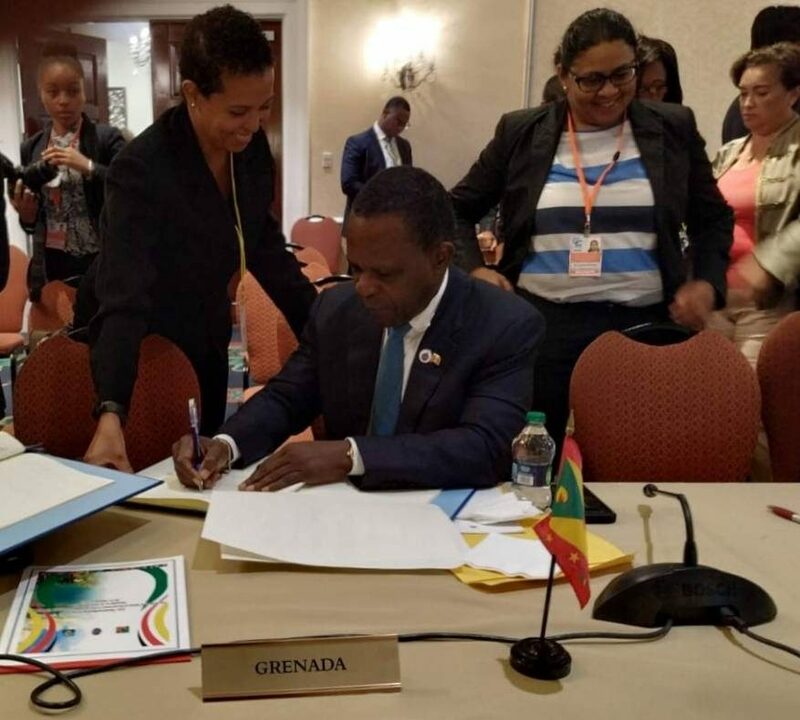 Grenada has become signatory to the Caricom Multilateral Air Services Agreement which is intended to make the Caribbean Community a more liberalised environment for Caricom airlines. Prime Minister, Dr the Right Honourable Keith Mitchell signed the agreement at the just concluded Inter-Sessional Meeting of the Conference of Heads of Government of Caricom in St Kitts and Nevis. Caricom leaders are seeking to provide travellers in the region with adequate, competitive and efficient air transportation services at affordable prices.